A wallet and ID case all in one. Compact size for easy use. Ready to tool or leave plain; add a color stain or leave natural. 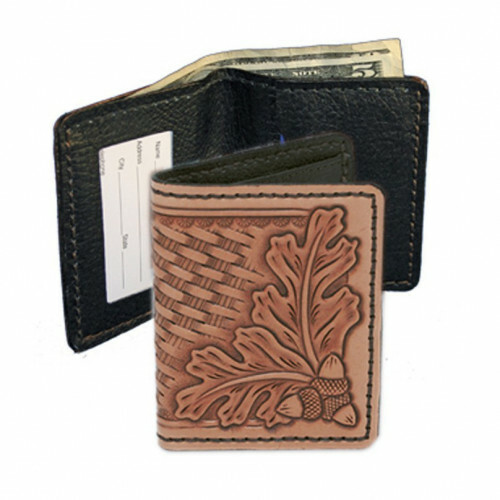 Be sure to add a protective leather finish. 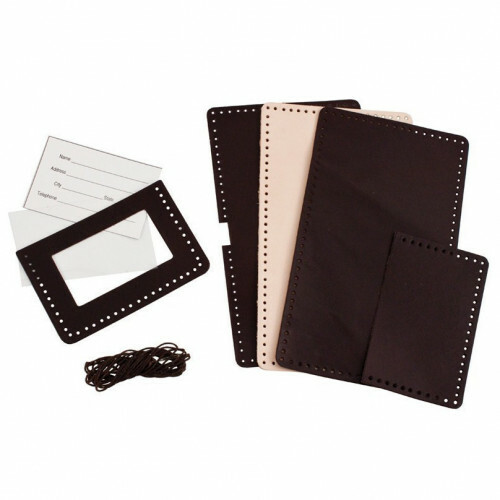 Kit includes pre-cut, pre-punched tooling leather back, pre-finished leather interior with 3 pockets for bills and cards, vinyl window for ID, waxed thread, needle, design patterns and instructions. Finished size (open) 7-1/2" x 3-1/4".